New Zealand has more courses per capita than anywhere else in the world, with 28 courses in Northland. 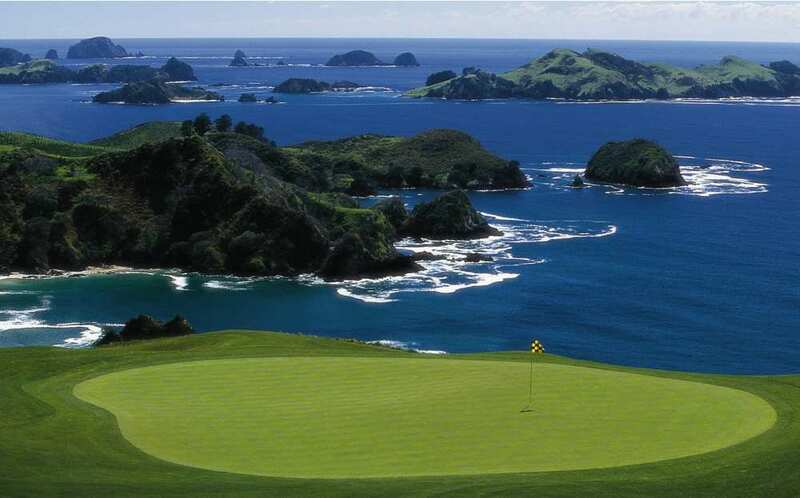 The subtropical climate in Northland make our self catering Bay of Islands accommodation a perfect vacation for golfers on holiday or touring. Our courses are playable all year. Located four minutes drive from Wharepuke Subtropical Accommodation, central Kerikeri. A championship quality course highly regarded in New Zealand. Exciting course layout, well bunkered with memorable water hazards. A championship course designed and built by David Harman. Voted Floridas best new golf course outside USA in 2001. Magnificent course played along cliff tops overlooking the Pacific Ocean. The golf complex include a world-class practice range, putting green, shops and restaurant. One of the most scenic in New Zealand with breathtaking views over the Bay of Islands, with native bush, immaculate greens. A gently undulating course. Non golfers or those taking a break can enjoy an abundance of things to do in Kerikeri and the Northland area. Art trails, food and wine trails, culture and heritage activities, boutique shopping, beaches and walks.